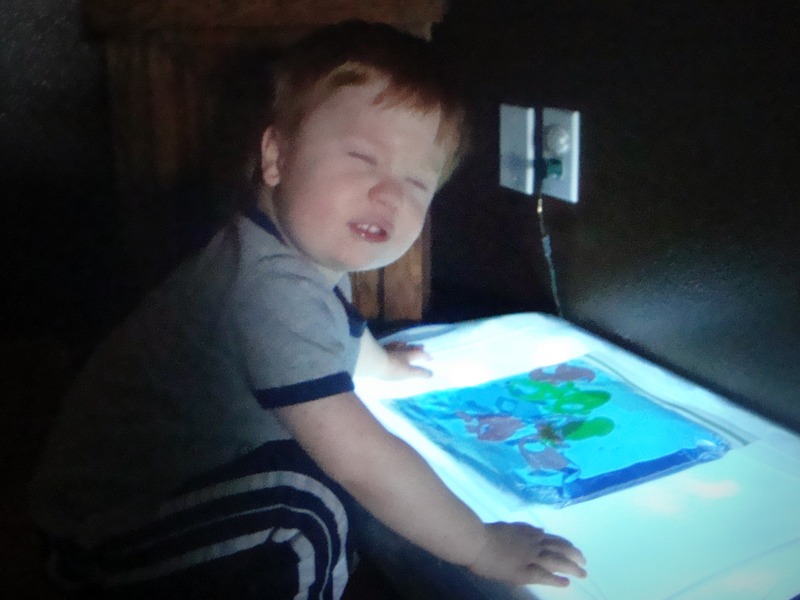 Trevor loves his light box. 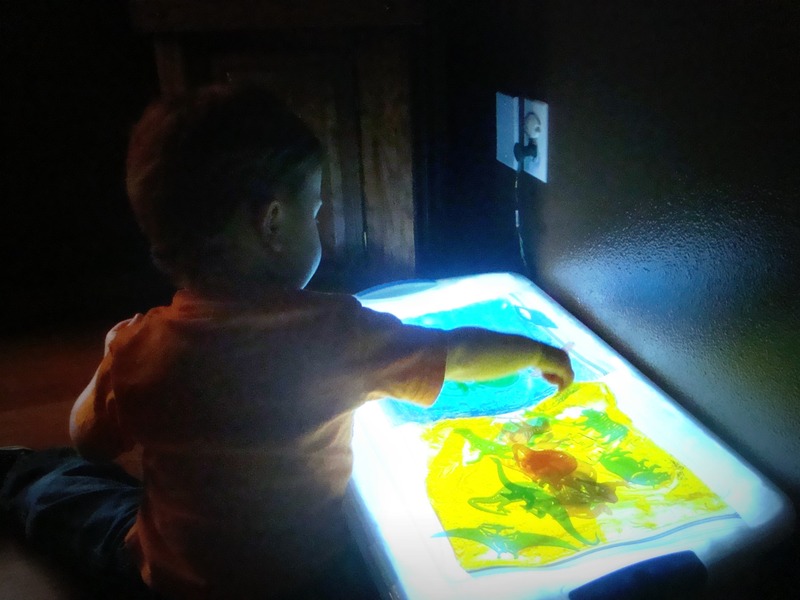 But for some reason we hadn’t played with it in a couple weeks. 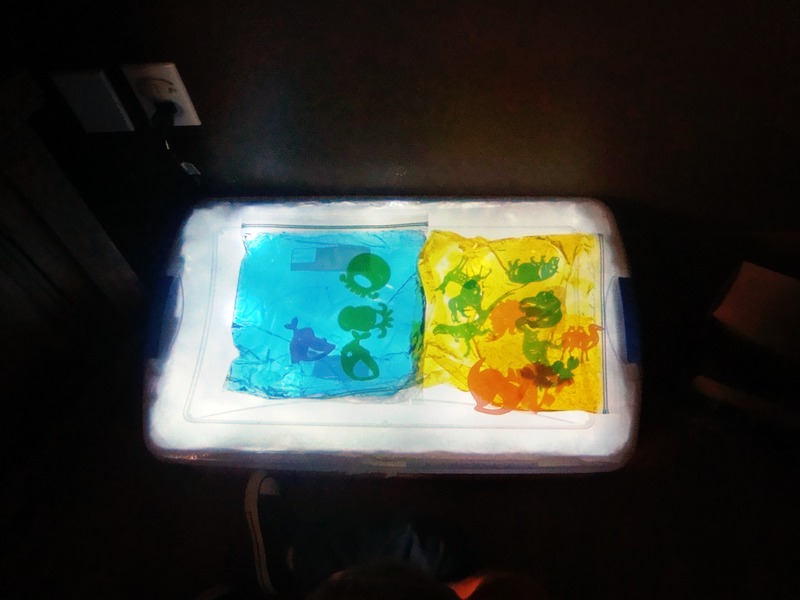 I’m not quite sure how that happened, but reading about how much fun Owen and Melaina had with their homemade light box inspired me to create a new light box adventure for Trevor. 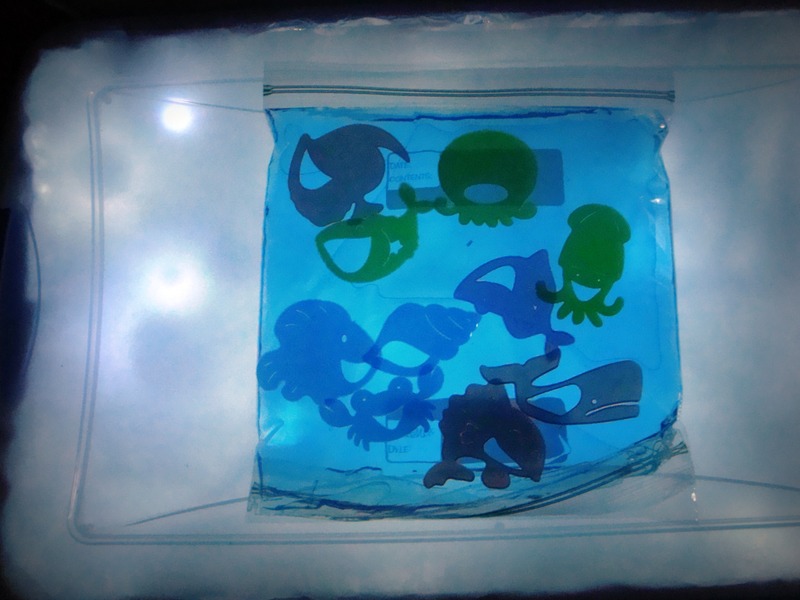 Fill a Ziploc bag about 1/3 full of water. 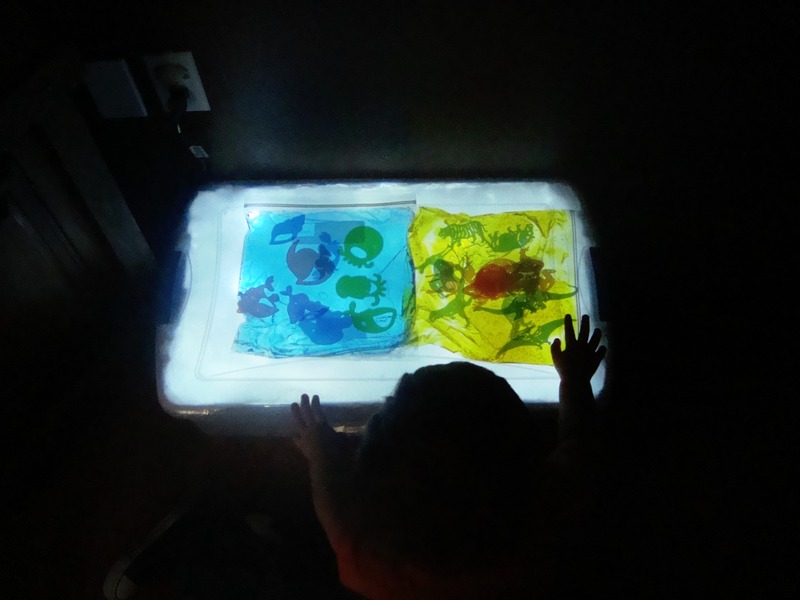 Add in a few drops blue food coloring and mix. Let out the air and seal the bag. Put the sealed bag inside a second Ziploc, to prevent accidental leaks. 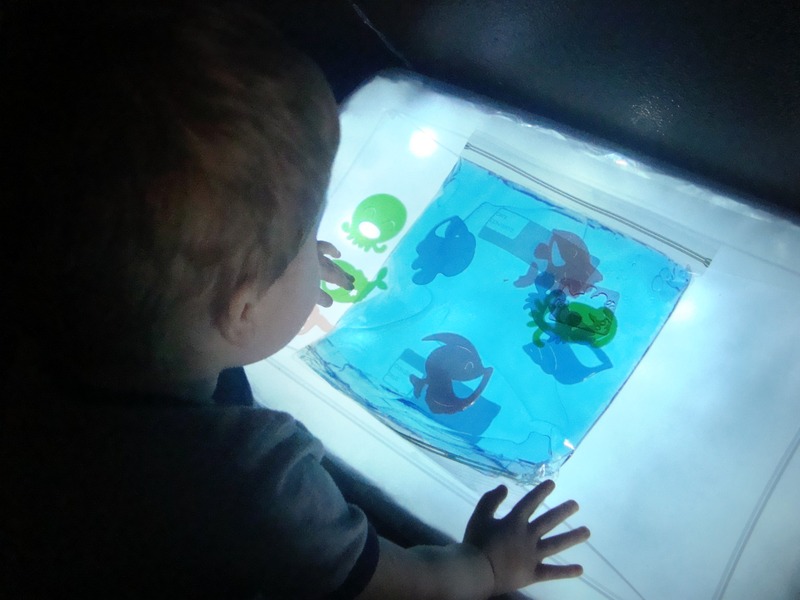 Place on top of your light box and enjoy your own Undersea Light Box Adventure!